Be creative in incorporating the product into a unique NYE treat. Maybe cookies and milk, a unique eggnog concoction, some delicious hot chocolate or frozen strawberry milk pops? At the stroke of midnight on New Years day, toast your unique creation and take photos of the celebration. 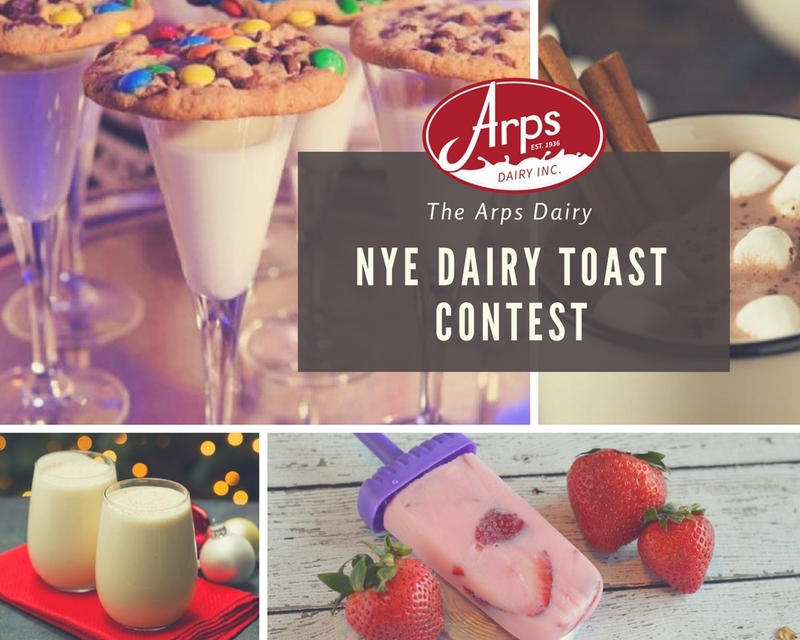 Post those photos as comments to this post on the Arps Dairy Facebook page and the photo with the most likes will receive some delicious complimentary Arps Dairy products. You will have to come into our 220 N Clinton Street creamery to pick up your prizes :). We hope everyone had a wonderful Christmas and we wish you all a fantastic 2018 full of love, laughter and happiness!